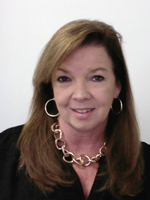 Janet Good is a Speech Language Pathologist on the Technology & Learning Connections team MTSS project. She is a Regional Coordinator with Florida’s Problem Solving/Response to Intervention Project – Technology Unit at the University of South Florida. In this role Janet provides technical assistance in the areas of: augmentative alternative communication (AAC), accessible educational materials (AEM), assistive technology (AT), instructional technology (IT), Universal Design for Learning (UDL), and virtual/online learning (VI) technologies. In her 28 years working in the educational field she has shared her expertise and passion at local, state, and national conferences covering various topics including Assistive Technology, and Augmentative Alternative Communication use and implementation.